The sun is out and the garden is coming back to life! It’s tempting to get out there and really get stuck in to clearing and planting. But it’s important to take things slowly and remember to look after your back. 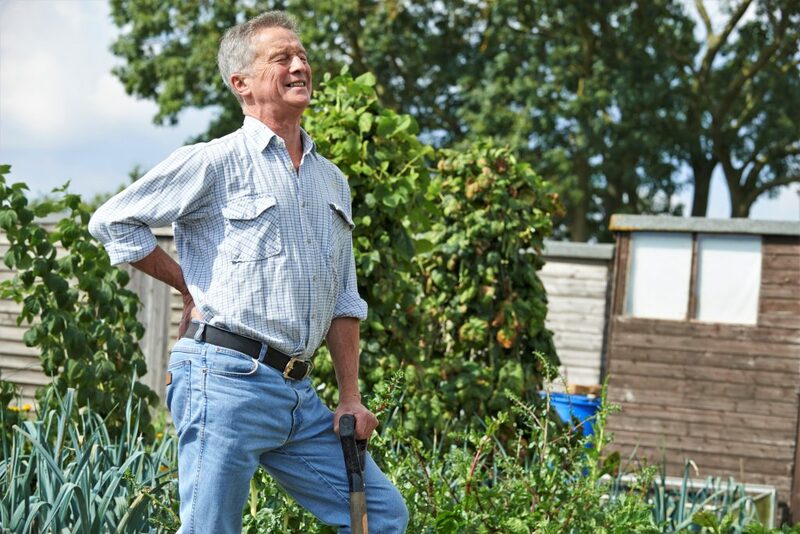 Back problems affect people of all ages and can make gardening a painful experience. By following some simple rules you can make gardening easier on your back and prevent any future problems. Warm up before starting to garden by gently stretching your muscles. If it’s cold, wait until later in the day when it’s warmer. Avoid repetitive garden work. Alter your position regularly as you work, take regular breaks and drink plenty of liquid. Don’t lift heavy objects. If you must lift something, remember to bend your knees and keep your back straight. Use a wheelbarrow to move objects where possible. Wear belts that support your back if necessary. And if you do find that your back is causing you problems, why not book in to see one of our Physiotherapists who can treat your aches and pains and give advice on how to prevent further injury. You could also have a massage to loosen up stiff muscles. Call us on (0117) 330 6820 to make an appointment or book online at www.keithjamesphysiotherapy.co.uk.